What a difference the tide makes! 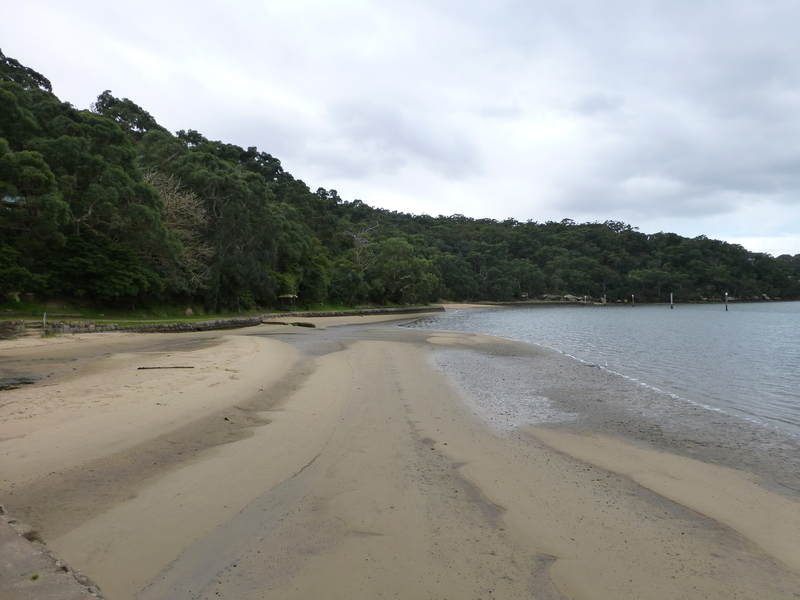 At high tide, and especially at high King Tide, no one (birds included) can walk on this sand without getting wet. The water laps around every square millimetre. Contrast this with low tide. Now in truth, this photograph doesn’t tell the full story, for a really low tide goes out far more. It becomes quite impossible for any human to swim. Simply not enough depth of water. Recently I captured this slightly unusual view of the baths where I usually swim. In the foreground stands a clump of tall Casuarinas. Once in a while these produce quite exquisite, tiny flowers. The distant gums are a favourite haunt of parrots, especially the Sulphur-crested Cockatoos who quite regularly flock there. 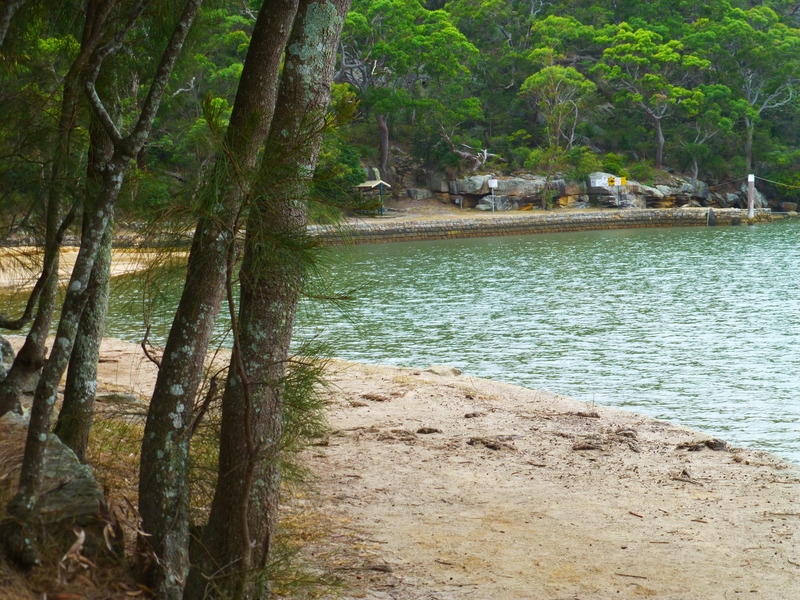 All these lovely sights are there to enjoy for swimmers and walkers alike. As one who swims in a tidal baths, I can vouch for this! Certainly I prefer to take a dip in deep water, but sometimes I find that there’s enough water even when the tide is more than half way out. 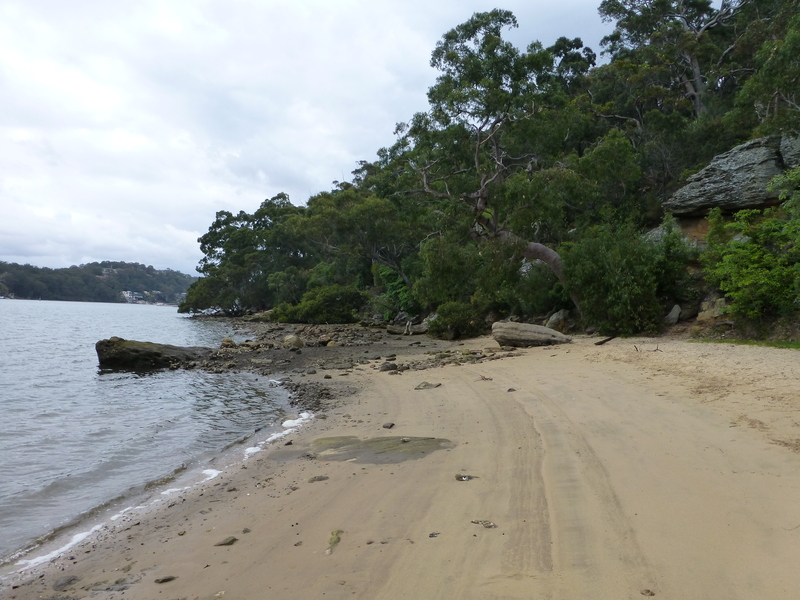 Here’s a photo of the little beach besides the baths, taken at low tide. They say time and tide waits for no man. Having lived near a river for most of my life, I’ve had ample opportunity to observe the the ebb and flow of the water. What a difference it makes! At extreme low tide, swimming in the baths is impossible. Christmas tides peak at extraordinary levels, but the corresponding low level is just as spectacular in its own way. 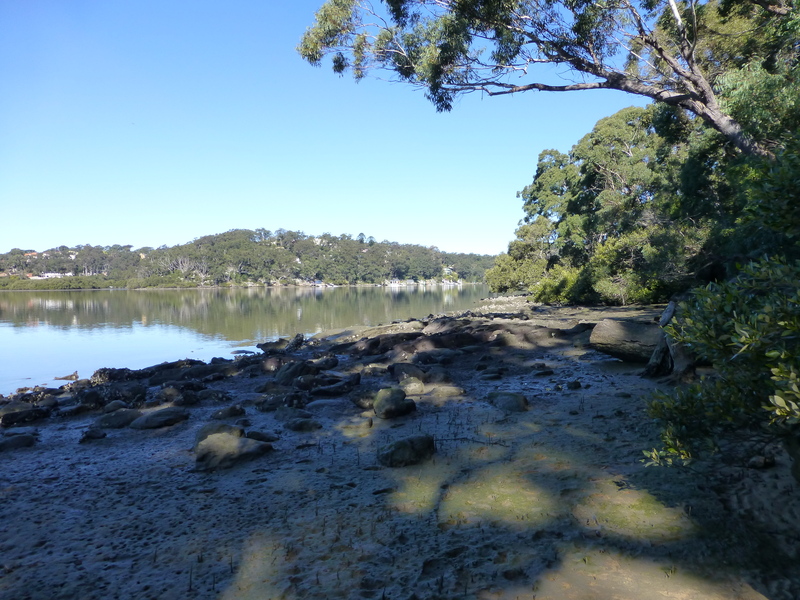 Here’s a photo taken at low tide at an area just beside the baths.